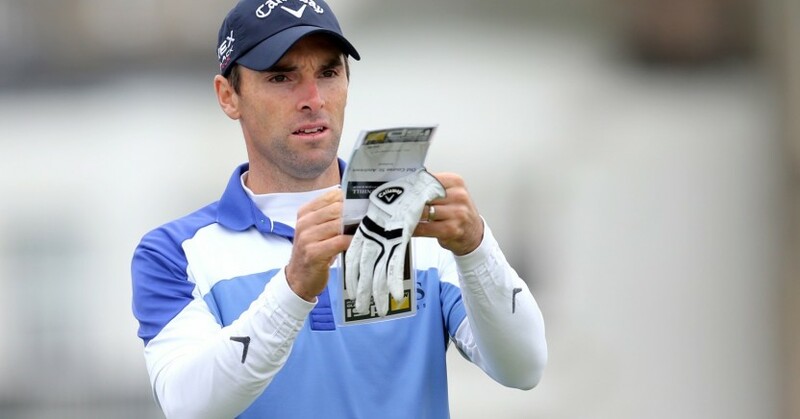 It’s taken 10 years and 228 tournaments, but Oliver Wilson finally claimed his first European Tour victory at October’s Dunhill Links Championship, when even close rivals were happy to see the popular Midlander end his record-breaking run of second-placed finishes. In a sport as self-centred as professional golf, it’s not often that the losers at a tournament are the first to congratulate the champion. Most winners are left to celebrate with their caddie and close family if they’re lucky, while rivals manage a polite handshake and a muttered ‘well done’. But all those selfish thoughts were put firmly to one side when Oliver Wilson finally managed to get his head in front at last month’s Alfred Dunhill Links Championship. As Wilson holed out on the iconic 18th green of the Old Course at St Andrews, players who had stayed on to watch the action came flooding out of the clubhouse to wish him well, while Wilson’s mobile went into meltdown as his Twitter feed and messaging service struggled to cope with the sheer number of people sending him supportive tweets and texts. They say you find out who your true friends are in times of crisis, well Wilson knows only too well that that feels like, after struggling over the last three years to find the form that saw him earn a place in the 2008 Ryder Cup team and finish seventh in the money list the following season. Just days before he received his last-minute invitation to play in the Dunhill, Wilson readily admits that was on the verge of quitting the game for good, after plummeting down to 792nd in the world rankings. Struggling to make anything resembling a living on the Challenge Tour – he had won just €22,000 from 20 events – Wilson’s game was in such poor shape that he was considering trying something else to pay the mortgage. After 10 years on tour, many of which were extremely successful, the 34-year-old from Mansfield fortunately had resources to fall back on, and armed with an inner belief, he soldiered on in search the man who had famously banked no fewer than nine runner-up finishes. Despite missing 17 cuts in 2013, Wilson felt he had turned a corner heading into this season, but while form in practice was good, his results continued to offer little in the way of encouragement that brighter things lay ahead, with less than £15,000 banked from 18 events in the run up to his life-changing week in Scotland. The turning point game in September, when Wilson decided to enlist the help of tour professional Robert Rock, a fellow Midlander who is carving out a second career as a coaching guru. Wilson’s old caddie was now working with Rock and had suggested he may be able to help. Wilson teed up his breakthrough win with an opening 64 at St Andrews and followed that up with rounds of 68 and 65 at Carnoustie and Kingsbarns repsectively, before returning to the Old Course for the final round, where a hard fought 70 – the worst score of the top 16 players – was good enough to secure the €625,000 first prize, one of the biggest of the European Tour’s schedule. Apart from the life-changing winnings, Wilson’s overdue victory also brings a two-year exemption to the European Tour and changes his future schedule quite dramatically. Rather than having to prepare himself for the grueling prospect of Qualifying School in December, his placing inside the tour’s top 40 means he can now look forward to mixing it with the continent’s elite once again. “I’ve said over the last few years that I will be so much better when I get back,” he says. “Whether I genuinely believed I would get back, I don’t know, but I’m certainly a lot more appreciative of the life we lead on tour and what we get given, than I ever was before,” says Wilson, with the air of a man who knows what its feels like to have the toys taken away. Add this sense of perspective to a swing that has proven it genuinely can hold up under pressure, and you get the feeling that the days of battling in golf’s doldrums are, hopefully, over although Wilson will be first to acknowledge that the war is never won.